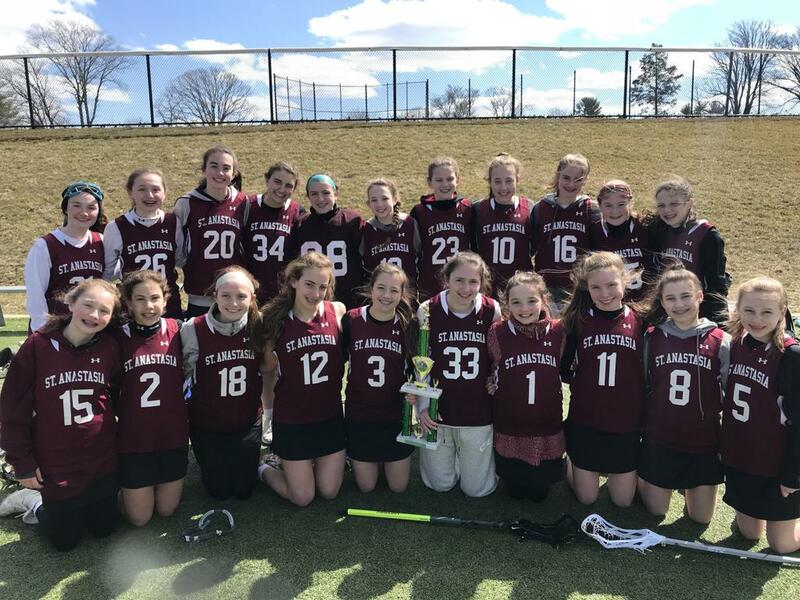 Congratulations to the Varsity Girls lacrosse team who won the Notre Dame Irish Invitational Tournament on Saturday March 16th. 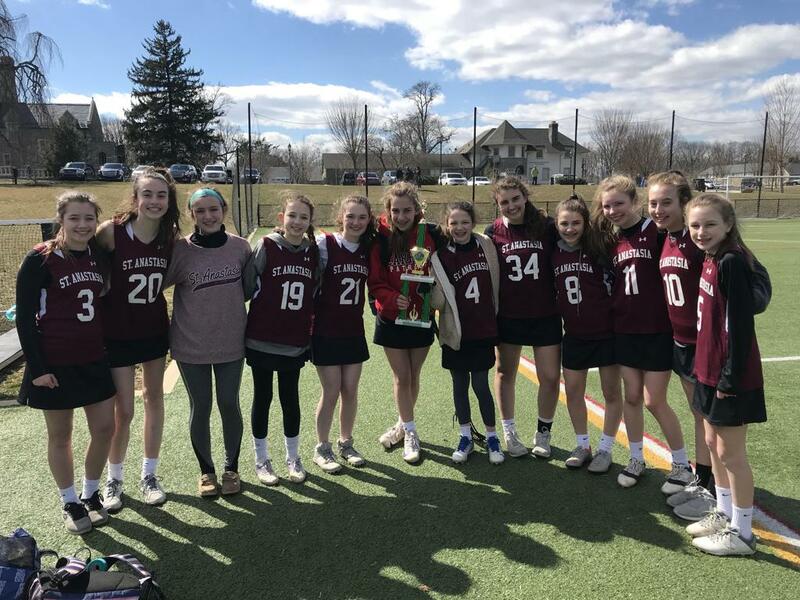 They beat Saint Simon & Jude and St Katherine’s allowing them to advance to the finals where they beat Villa Maria 9-6 to win the championship. It was a fun weekend for the girls and they had their team mass after the tournament. Great job by the team and their coaches! 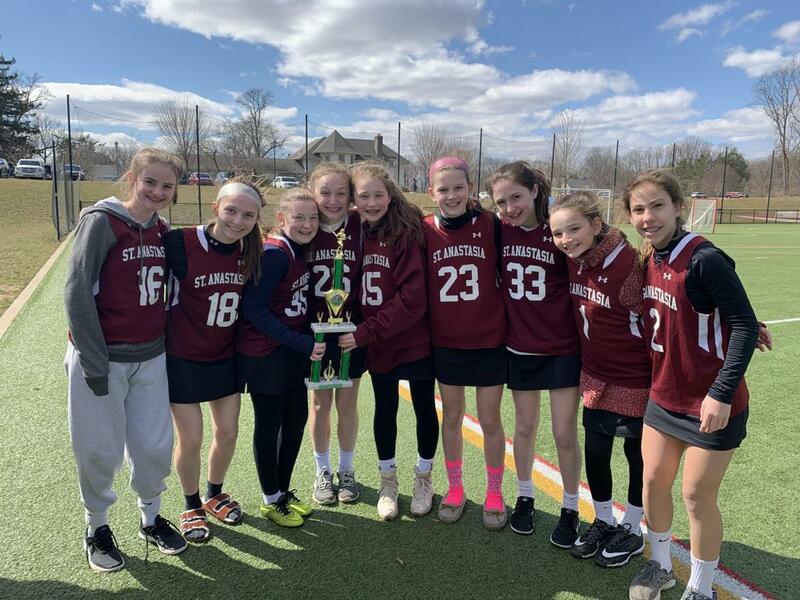 ©2019 Saint Anastasia Parish CYO / SportsEngine. All Rights Reserved.